Bridging the performance gap between oil and water-based urethanes, Crystal Urethane blends bio-preferred oils and acrylic to create a uniquely clear product that is perfect for achieving a deep, beautiful finish. Crystal Urethane can be used on all of your interior woodwork, from baseboards to ceilings. 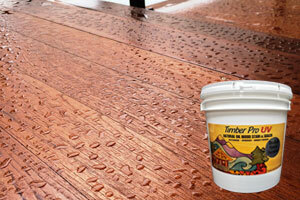 It creates a rich, durable surface that is ideal for wood walls, ceilings, trim and doors. Crystal Urethane bridges the performance gap between high V.O.C solvent-borne oil based urethanes, and water-based acrylic clear wood finishes. This is “green” coating technology at its finest, the beauty and durability of an oil based urethane, without the yellowing, fumes, and flammability. Crystal Urethane is a complex blend of water-borne renewable oil resins and acrylic nano-particle resins that address all the needs of protecting and finishing interior wood.